Everyone is going to be wearing barely there sandals this spring, but it doesn't mean the minimalist trend falls short on personality. 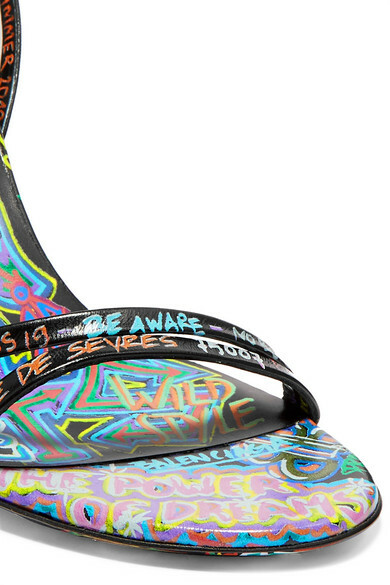 Balenciaga's 'Graffiti' sandals are made from buttery black leather scribbled with an array of logos and slogans that range from the house's Paris address to political statements. The slender straps leave little to the imagination, so prep with a foot scrub. 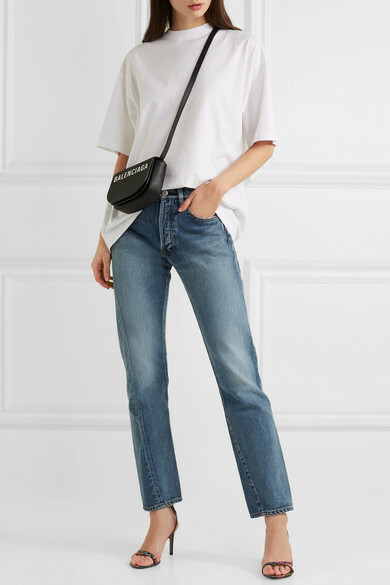 Shown here with: Balenciaga Top, Balenciaga Jeans, Balenciaga Shoulder bag, Balenciaga Keychain.